Over 60 years ago, a preacher from Chicago flew to South Korea to minister to American troops fighting in the Korean War. One morning, during the visit, he saw city workers scoop up what looked like piles of rags and toss them into the back of a truck. He was horrified when he realised that the scraps of cloth were not rags, but the frozen bodies of orphans who had died overnight in the streets. Everett Swanson vowed to find a way to help these children and, soon after, Compassion International was releasing children from poverty in Jesus' name. 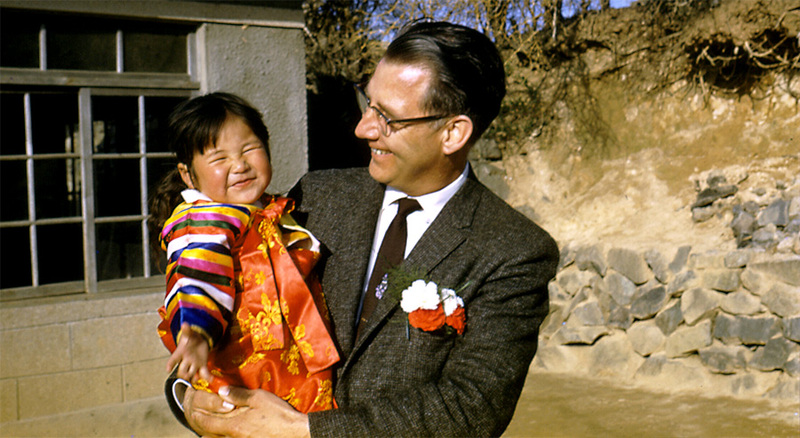 In 1954, Swanson’s relief work turned to developing sponsorship programs, which provided long-term Bible teaching, medical support, food, clothing and shelter on a regular basis for the children of post-war Korea. Everett Swanson’s initial efforts have evolved over the years into a global, holistic child development model, enabled by child sponsorship. 1. Peace is the hinge on which the door of sustainable development hangs. The 16th Sustainable Development Goal is dedicated to the promotion of inclusive and peaceful societies for sustainable development. This goal has been called “the transformative goal” – the other goals are easier to achieve depending on Goal 16. Conflict affects a country’s infrastructure, local hierarchical systems, judicial process, education, economies, employment, and political system. Peace matters! Without peace there can be no development and without development, there is unlikely to be peace. Although what constitutes “conflict” or “war” is becoming increasingly complex and hard to define, there is no question that development, security and peace are tightly connected. Holistic child development requires some degree of stability and safety in the medium and long-term to be effective. When a community is caught in the midst of crisis or conflict, children are always the ones who are most at risk. Our compassion and love stretches to include these children and we wholeheartedly cheer on other charities, organisations and experts bringing relief and support to them. Where conflict totally disrupts normality, poverty causes unpredictability. Creating continuity and consistency for children who are enrolled in Compassion projects around the world, is crucial to the one-to-one child sponsorship model. It means a child turns up to the same project building every week. It means letters are delivered to the same address. A child is guaranteed a minimum of four hours contact time per week with a project staff member. A child has the same sponsor for five, ten, fifteen years. The same staff deliver the curriculum and mentoring. It is a development model based on the predictability of relationships. Holistic child development is – at its core – a powerfully transforming process. It helps poverty-stricken children rediscover the powerful story of God’s redeeming work spiritually, socially, physically and cognitively. The needs of children affected by conflict will, most of the time, be different to the needs of children born into the vulnerability of extreme poverty. Both groups of children need our listening ears, our compassion and ultimately, empowerment, but the finer details of the emotional, psychological and practical needs of the children will be different. For example a program designed to bring urgent relief to refugee children who are experiencing the trauma of war or seeking asylum, will look profoundly different from a long-term curriculum designed to empower children to make choices for themselves. Relief deals with the problems of the moment, while long-term development works to permanently solve problems. Both require different expertise, program and structures. How is conflict defined? Which countries are currently experiencing war? The 2017 Global Peace Index, released earlier this year, offers a snapshot into the current global state of peace and conflict. The index measures global peace using three broad themes: the level of safety and security in society, the extent of internal or international conflict and the amount of militarisation. These themes include more detailed issues like the number of refugees or displaced people, the number of jailed people, the number of deaths from organised conflict, relations with neighbouring countries, ease of access to weapons, terrorist activity and military expenditure. None of the 25 countries where Compassion works were listed in the worst category of the Global Peace Index - “very low” - which included Somalia, Yemen, South Sudan, Syria and Iraq. In fact, the majority of the 25 countries are labelled as having a “medium” to “high” state of peace. However, three countries where Compassion currently works – Colombia, Ethiopia and Mexico – are labelled as having a “low” state of peace. In 1994, the Compassion Rwanda office temporarily closed during the civil war and genocide, reopening again to initiate relief efforts and help more than 140,000 “unattended for” children across the nation. 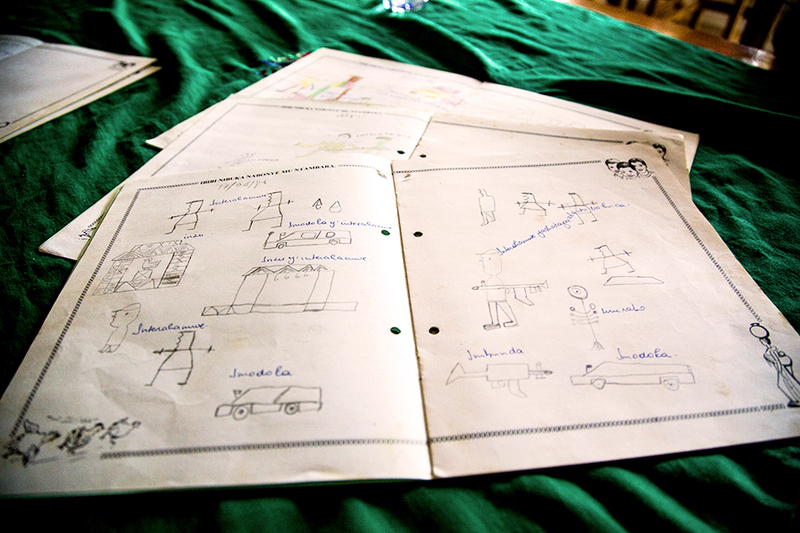 Counselling books given to children after the genocide in Rwanda to support with therapy and processing conflict and trauma. Compassion began working in Sri Lanka in 2010, one year after the war ended. In north and East Sri Lanka, evidence of the 26-year-long civil war is clear; unmarked graves dot the countryside. Families in the northern regions of Kenya are affected by ethnic and tribal clashes and incidences of cattle rustling, while children in urban areas of Guatemala are affected by gang violence, extortion and criminal activity. Our local church partners are the ones who best understand local needs. They are the people who are perfectly placed to exert influence and bring about long-term, transformative change in the lives of children around the world. Where it is still possible for local churches to be the anchor for their communities, Compassion is working. This article first appeared on the Compassion UK website on 13 October 2017.